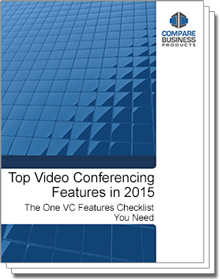 Have you been considering implementing a video conference system into your business? Don’t waste another moment settling for a mediocre system, or searching through video conference systems and providers aimlessly. Uncover the collection of important features to look for in a video conferencing solution for your business. This paper will cover the must-haves, along with those which improve collaboration, allow for optimization and keep your system secure and in-operation. By the end of the paper, you will be able to maximize the return on your video conference investment, by analyzing your business needs and identifying the features that best match them. Don’t miss out on this cutting edge collection of key features video conferencing has to offer; features that your competition can easily utilize to improve their performance. Learn what these features are and how they will benefit your business.